Other Notes: Fall seasonal, one time only. 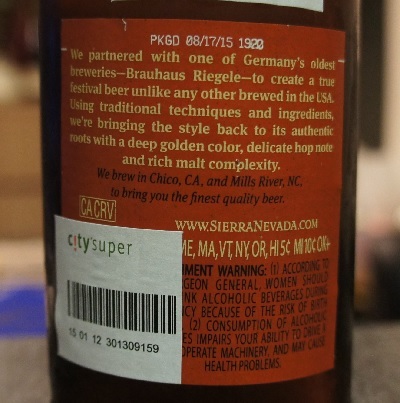 Brewer Description: (from bottle) We partnered with one of Germany’s oldest breweries – Brauhaus Riegele – to create a true festival beer unlike any other brewed in the USA. Using traditional techniques and ingredients, we’re bringing the style back to its authentic roots with a deep golden color, delicate hop note and rich malt complexity. 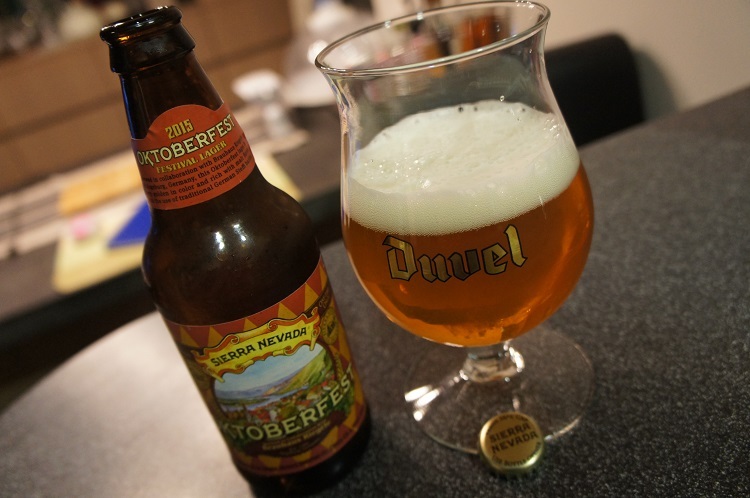 Intro: A 12 fl oz bottle packaged on 17th August 2015 and poured into a Duvel tulip glass. Appearance: It poured a clear golden orange colour with a one and a half finger slightly off white coloured head that had pretty good retention. Aroma: Toasty bread with honey and apple with a hint of caramel. Generally its the sweet aroma. 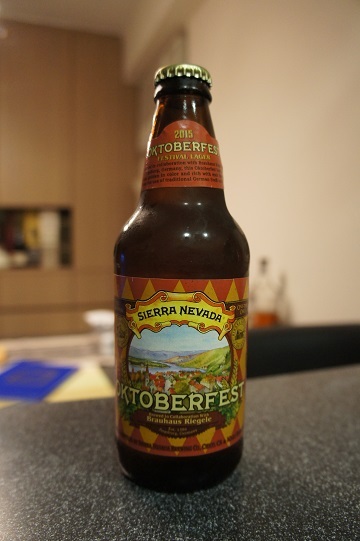 Taste: Leans on the sweet side and definitely malty and bready with some grain plus hints of caramel and toffee. Mouthfeel: Medium bodied with medium to high carbonation. 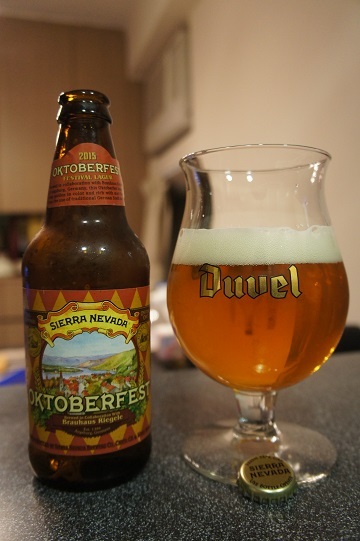 Overall: This was decent and easy to drink but nothing exceptional, though it is worth a try. It’s a one time brew, but even if I could buy it again, I’m not sure I would.